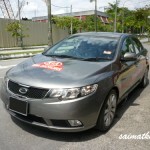 Home » Automotive » KIA Forte Is Now Malaysian Police CAR? 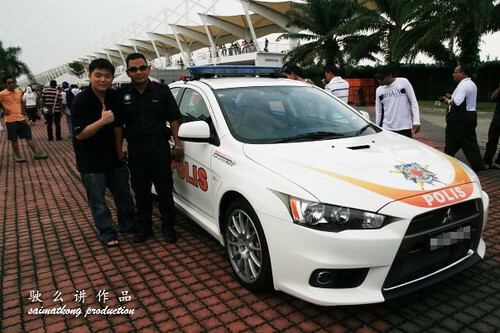 Oooh… Previously it’s Mitsubishi Evo Lancer as Malaysia Police CAR and now they choose Forte as the new Police CAR? Hmm… Should the Forte Owner be proud or sad? I guess it’s still in testing or planning phase not sure they will use Forte as their official car? 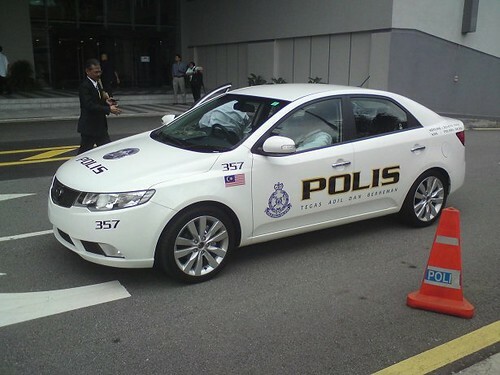 Forte = Malaysian POLICE CAR? 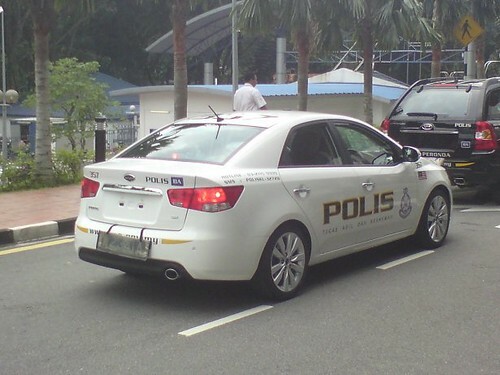 KERETA POLIS Malaysia? No wonder there’s no stock for Forte 2.0 Clear White… Arghh for me I don’t want my car to be either Police Car or Taxi lo… Just drop the image of the car that I’m driving only. What say you? If really happen then all the police who driving Forte will join us as Fortezen and will be a member of myforteclub.com? haha. 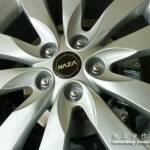 really amzaing… haha.. i just think to get my forte by end of this year or next year Jan… now … it will become police car…so i think i should buy white color, my initial favourte is metal bronze . so that others may think i am driving police car.